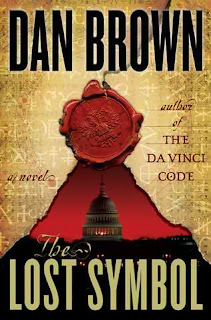 The Lost Symbol is the third book in Dan Brown's Robert Langdon series. Dan Brown writes pure entertainment; The Lost Symbol will definitely keep you as rapt as you were when reading The Da Vinci Code (2003). 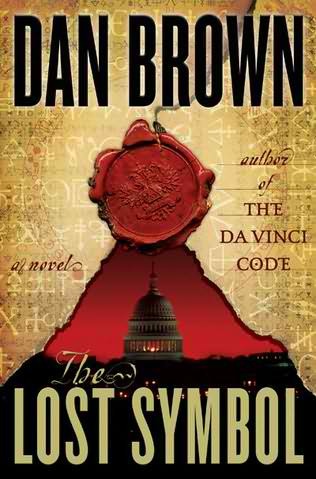 The setting for The Lost Symbol is our country's own Washington, D.C. Robert Langdon is contacted by an old friend and mentor to attend a lecture in the capitol city, however when he arrives at the Capitol Building, Robert discovers he has been lured under false pretenses. Someone believes Langdon is the key to unlocking secrets of the Freemasons, so to urge Langdon into performing the tasks needed, precious lives are threatened and people will die if Langdon doesn't help. A noetic scientist named Katherine Solomon is the sister of Freemason Peter Solomon -- the man who has disappeared at the hands of the mysterious person luring Langdon into revealing the society's secrets. With Katherine's help and knowledge of scientific noetic breakthroughs, Langdon just may be on the verge of exposing the largest enigma known to mankind. Each chapter within The Lost Symbol will continue to unlock door after door, taking readers deeper and deeper into the mysteries of the infamous secret society in question. While basic knowledge supports Freemasonry being founded and built upon religion, Dan Brown introduces us to the science of noetics, which is defined as the science of pure thought and reasoning. Much of the content described in The Lost Symbol is factual and will definitely leave readers wanting to hop online to research more about freemasonry and noetics. Dan Brown always manages to make you think outside of the box; grasping the idea of how positive thinking can shift energy will blow your mind, and the moral of the story (without revealing spoilers) goes back to proving that not all treasure is a physical entity; but more often a metaphor. Langdon lectures to his students saying, "wide acceptance of an idea is not proof of its validity", which is perfectly true in all cases. If only people were smart enough to realize this in all facets of life. There's always much controversy surrounding Dan Brown and the plots of his novels but he's pure genius. It's not called fictional entertainment for nothing. Dan Brown's previous novels featuring Robert Langdon include Angels and Demons (2000) and The Da Vinci Code (2003).